Venezuelan opposition leader Henrique Capriles said he will not accept Chavista candidate Nicolas Maduro’s victory until a full audit of the election results is carried out. Capriles has slammed the ruling party with allegations of election fraud. With the vote split almost equally acting President Nicolas Maduro has won Venezuelan presidential election to replace Hugo Chavez. Venezuelan election authorities have announced that with 99,17% of votes counted Maduro is leading with 50,75 per cent of the votes cast. 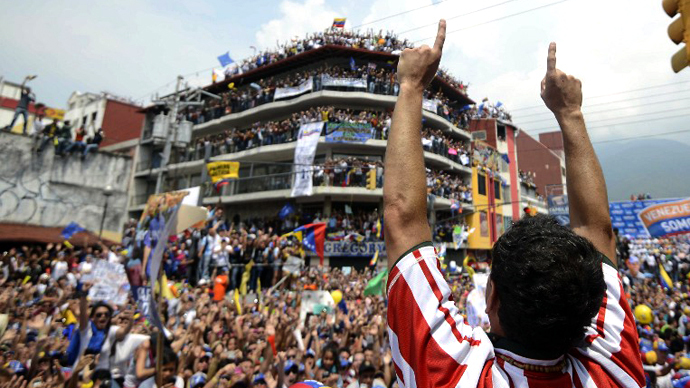 Capriles is dragging behind with 48,98 per cent. Around 77 per cent of the eligible voters cast their ballots, officials said. Capriles stated that his party had reports of over 3,200 irregularities in the voting process and said that the Maduro really lost the elections. 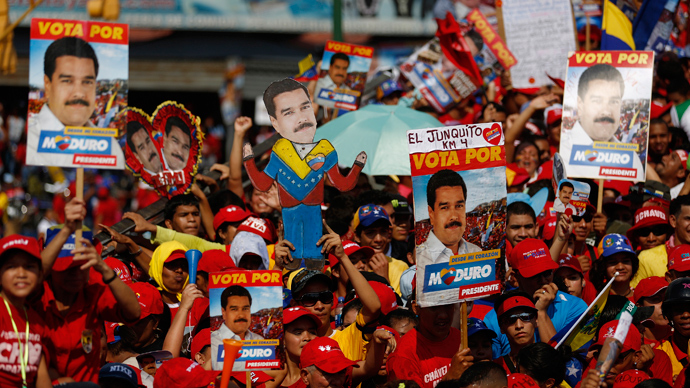 Venezuelan authorities have announced that voting went smoothly and that there was no evidence of any irregularities with almost 200 international observers overseeing the voting. However, in the face of opposition protest Maduro has consented to an audit on Sunday’s vote. "They [the opposition]) want an audit, we welcome the audit ... I formally request the National Electoral Commission to carry out an audit," said Maduro in a statement. In his speech after the polls closed, Capriles urged every person to report irregularities they may have noticed. 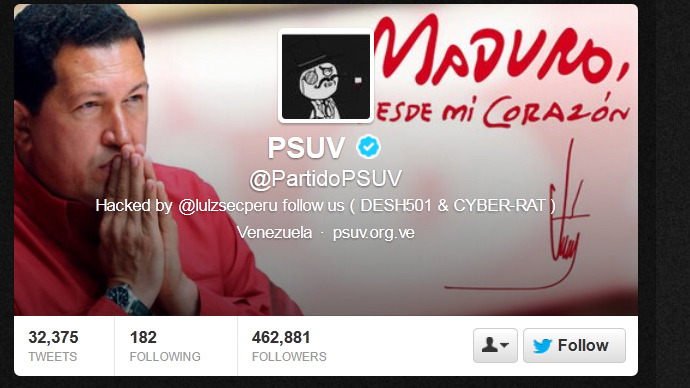 Five minutes before the polling stations across Venezuela closed, a number of government Twitter accounts had been hacked by LulzSec group, including those of Nicolas Maduro, his ruling United Socialist Party of Venezuela and the Community of Latin American and Caribbean States. The attack was dubbed as a “desperate” move of “fascists” by the Venezuelan minister of Communications & Information Ernesto Villegas. 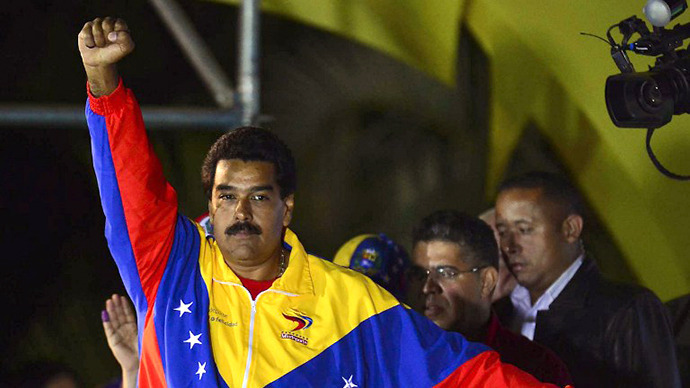 The day before, Maduro was slammed by the opposition for allegedly violating a media blackout. Eric Draitser, a geopolitical analyst at stopimperialism.com told RT that could indeed be an admission of failure on behalf of the opposition. The head of the Organization of American States Miguel Insulza has supported the opposition demand for a full vote recount. The White House says auditing Venezuela's close election is necessary. "Given the tightness of the result - around 1 percent of the votes cast separate the candidates - the opposition candidate and at least one member of the electoral council have called for a 100 percent audit of the results," White House spokesman Jay Carney told a news briefing. "This appears an important, prudent and necessary step to ensure that all Venezuelans have confidence in these results," he said. The Venezuelan government said Nicolas Maduro would be formally proclaimed winner of the presidency by the election board at a ceremony and rally in Caracas to be held on Monday afternoon, despite opposition demands for a total recount. President Putin has congratulated Maduro with the victory and confirmed he is ready for a further constructive dialogue with Venezuela in everything that refers to the mutual interests of the two states. Cuba's Raul Castro published a congratulatory message in the newspaper Granma, where he said that Maduro's victory "shows the strength of the ideas and work of Commandante Hugo Chavez," who last month died of cancer. Miguel Tinker Salas, a professor of Latin American history at Pomona College, told RT that Maduro would have to address “real problems” in Venezuelan society or potentially face opposition from within his own party. “He has to address head-on the question of crime, inflation and infrastructure. 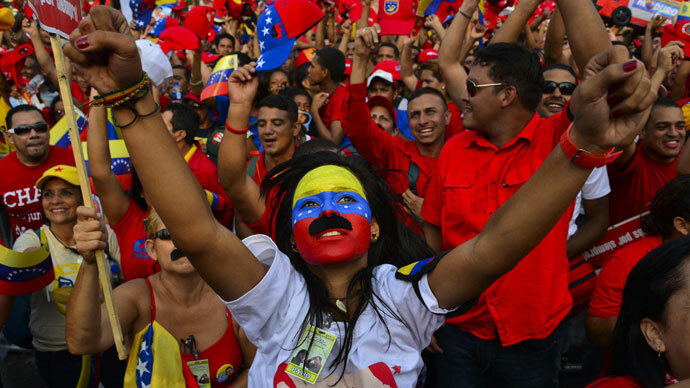 These are real issues that affect real Venezuelans, and although they felt the pain for Chavez, a significant number also begin to criticize and see the need for change,” Salas explained. He added that Venezuela’s foreign policy would most likely continue unchanged, though he stressed that the country is not anti-American. “There is a difference between criticizing the US and being anti-American. I think we’ll see a promotion of Latin American policy and a multi-polar world that is the US is not the dominant issue on their agenda,” he said. Salas also warned that Maduro has a short window to address problems and implement change, and that the opposition will definitely be emboldened and could potentially file for a recall election within three years.